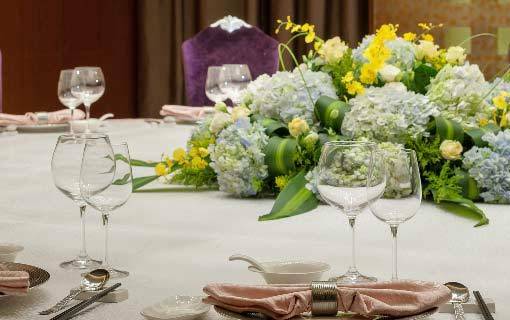 For the perfect grand wedding, company annual meeting and gathering of friends, Marco Polo Jinjiang has the perfect venue to cater for your every need. 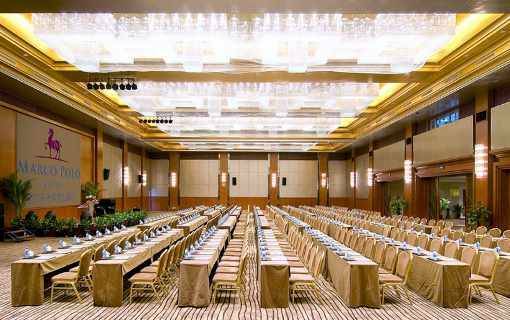 Located on the 3rd floor, this beautiful pillarless ballroom offers 700 square meters of meeting and banquet space and can accommodate up to 650 guests for cocktail. 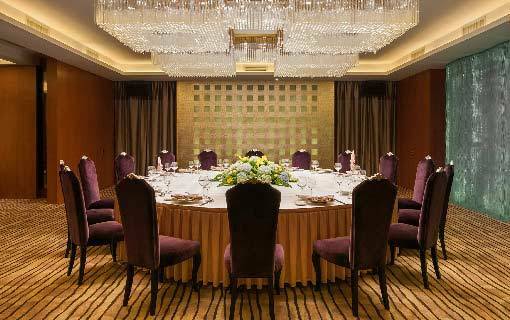 Located on the 3rd floor of the hotel and adjacent to Han-Tang Palace, the Poinsettia Room offers 120 square meters of meeting space. 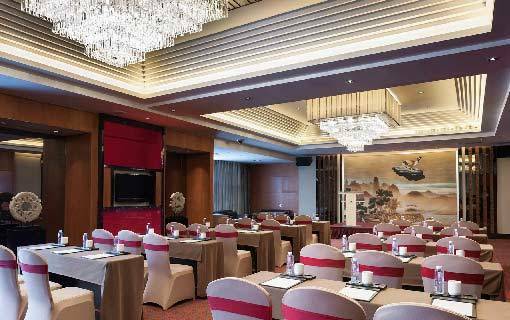 Located on the 2nd floor, Imperial Garden offers banqueting space of 790 square meters, catering for 650 guests comfortably. 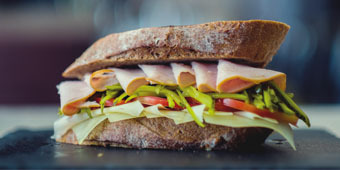 Located on the 2nd floor of the hotel is the Rose Room. 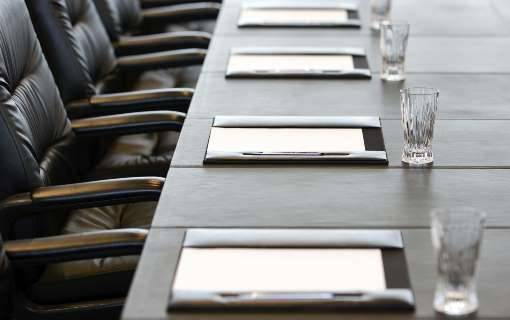 This meeting room is smaller in space but is equipped with all meeting facilities to make your meeting a resounding success. 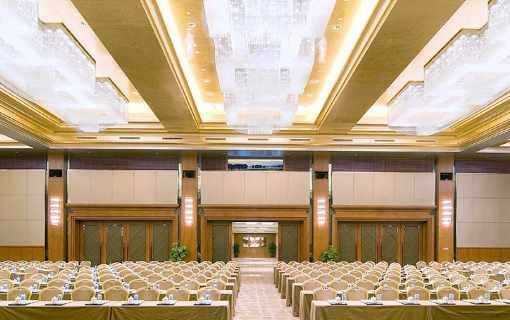 Hall of Four Seasons offers 200 square meters of meeting space and is located on the 4th floor of the hotel. 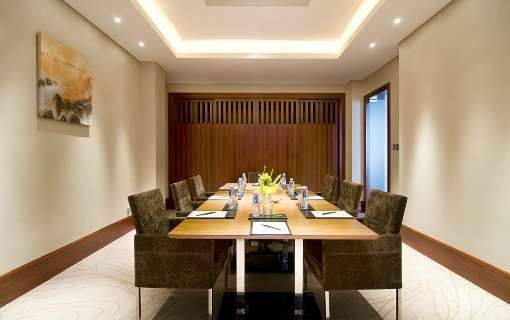 This meeting room is well-equipped to serve your every needs for a successful meeting. 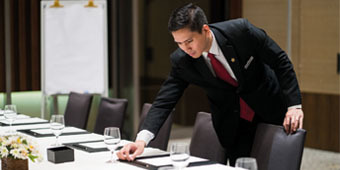 Located on the exclusive Continental Club floor, the CCF Meeting Room offers a private meeting room to guests staying on the Continental Club floor.